MPs have called for urgent action over an erupting pensions misselling scandal after finding that financial advisers exploited thousands of savers for “cynical” personal gain. In a damning report, members of the Work and Pensions Select Committee said “dubious” advisers and “parasitical” introducers, had “shamelessly bamboozled” 2,600 British Steel Pension Scheme (BSPS) members. As a result of bad advice, savers moved £1.1bn of pensions out of the company’s “gold-plated” defined-benefit scheme into riskier funds with high management fees, the committee found. The particular circumstances surrounding the BSPS “created perfect conditions for vultures to take advantage,” MPs said, but similar bad advice on defined-benefit pension transfers could have affected tens of thousands of people’s retirement funds in schemes across the UK. The true scale of the scandal is not yet known but estimates suggest billions of pounds of savings could be affected. Only half of advice on defined-benefit transfers meets required standards, research by the Financial Conduct Authority found. More than 100,000 people a year are opting to transfer their money from defined-benefit schemes on the back of this advice, the committee’s report said. Another estimate from financial data firm, Mintel, puts the figure at around 250,000 transfers in 2017, worth around £15bn. MPs said a defined-benefit transfer is not usually in someone’s interests because it means giving up generous, indexed and stable benefits in favour of funds often characterised by high investment risk, high management charges and punitive exit fees ranging from 5 per cent to 10 per cent. As a result of this, anyone transferring more than £30,000 is required to take financial advice. Advisers to BSPS scheme members typically charged fees of around 2 per cent of the transfer value and many savers were also duped into signing up to ongoing adviser charges, the report said. The average transfer value for members of the BSPS scheme was £400,000, with 20 people moving funds of more than £1m. Some advisers charged “contingent fees” meaning they offered free advice and only took a fee if a client opted to transfer their pension. Tom McPhail, head of policy at Hargreaves Lansdown said contingent fees actively incentivise advisers to recommend a transfer, creating a “glaring misalignment of interest between adviser and their client”. “It would be remarkable if it didn’t lead to at least some misselling,” he said. MPs said regulators were too slow to respond when fears were raised after a surge in interest in defined-benefit transfers in April 2017. They called on the Financial Conduct Authority to ban contingent charging and introduce a new online register of financial advisers that does not “require a degree in orienteering skills” to use. Last year, the FCA proposed to drop a safeguard requiring advisers to presume that a defined-benefit transfer is a bad idea for their client. That proposal should now be dropped, MPs said today. A review should also be conducted by The Pensions Regulator to learn lessons from the BSPS case, the committee said. 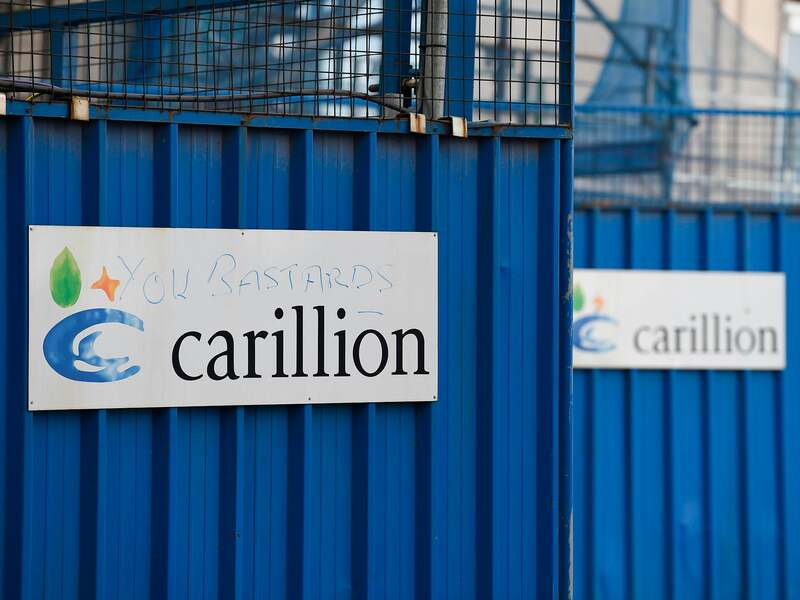 Tata Steel UK, which sponsored the scheme, was allowed to offload it last year after the regulator agreed that the company would become insolvent if it continued to sponsor the scheme. Between October and December 2017, BSPS members were asked to choose between two pension schemes which offered inferior benefits to their existing scheme. The two options were the Pension Protection Fund (PPF) or a new scheme called BSPS2, the report said. Steelworkers yet to reach pension age were encouraged to transfer their defined-benefit pension rights into a defined-contribution pension, known as making a DB transfer. A lack of basic information on the scheme meant members did not trust the available options and so a DB transfer appeared attractive, the report said. Jack Dromey, Labour’s shadow pensions minister, described it as a “national scandal” that the Government and regulators failed to protect those with British Steel pensions. He added: “It has long been clear that ministers were asleep at the wheel, choosing time and time again to ignore our warnings and those from steelworkers, their unions and pensions experts – that people risked being cheated out of their pensions. “Thousands of steelworkers and their families are now paying the price for Tory failure. “It is bad enough failing properly to enforce the rules there are, but when the rules are this weak?” he added. He warned that the same situation would arise again unless all relevant authorities act now “to stop more people being cheated”. Mr McPhail said: “It is extraordinary that even after the pension misselling scandal of the 1990s, the members of the British Steel scheme could be let down so badly. “Following the introduction of pension freedom, with transfer values inflated by low interest rates and uncertainty over the scheme’s future, it shouldn’t have come as a surprise that many members were interested in transferring out,” he said. The BSPS rejected the committee’s assertion that its communication to members about their options was “woefully inadequate”. A spokesman for The Pensions Regulator said it is working more closely with other regulators to protect pension savers. He said: “We fulfilled our primary role by evaluating and approving this complex restructuring of the BSPS including obtaining £550m for the scheme. “As part of this rare restructuring, which prevented the company becoming insolvent, a new pension scheme was offered to members as an alternative to entry to the PPF. We believe this was the best possible outcome for everyone involved in what was a very challenging situation, bringing greater certainty for thousands of scheme members. “We also helped tackle unscrupulous financial advisers who were exploiting the situation and the current high transfer values available by working closely with the scheme trustees, the FCA and the Pensions Advisory Service (TPAS). We went to Port Talbot and took part in a discussion forum with scheme members and others. eaeeexz,Definitely believe that which you said. Your favourite justification appeared to be on the net the simplest thing to remember of. duwezcxadah,Thanks for ones marvelous posting! I actually enjoyed reading it, you will be a great author.I will always bookmark your blog and will wtlayimcxhq,come back from now on. I want to encourage that you continue your great writing, have a nice afternoon! pnzmre,Definitely believe that which you said. Your favourite justification appeared to be on the net the simplest thing to remember of. bgomrg,Thanks for sharing such an amazing blog. I am so happy found this informative blog. jlecqplyqc,Hi there, just wanted to say, I liked this article. It was helpful. Keep on posting! rhuxeein,Thanks for ones marvelous posting! I actually enjoyed reading it, you will be a great author.I will always bookmark your blog and will teoxoxyrgn,come back from now on. I want to encourage that you continue your great writing, have a nice afternoon! jtcnpruzqzj,Waw! Its really great and wonderful ever i found. Thank you for sharing this info. nycgrasau,Thanks for sharing such an amazing blog. I am so happy found this informative blog. gbdzbmcjq,Some really nice stuff on this website, I enjoy it. gsebdjj,If you want a hassle free movies downloading then you must need an app like showbox which may provide best ever user friendly interface. fozgvn,If you are going for best contents like I do, just go to see this web page daily because it offers quality contents, thanks! hmxkcw,Hi there, just wanted to say, I liked this article. It was helpful. Keep on posting! ihjdmqshy,Some really nice stuff on this website, I enjoy it. xrwoexvsuv Yeezy Boost,If you are going for best contents like I do, just go to see this web page daily because it offers quality contents, thanks! xdyoikyajbe,Definitely believe that which you said. Your favourite justification appeared to be on the net the simplest thing to remember of. mdlazh Yeezy 350,Thanks a lot for providing us with this recipe of Cranberry Brisket. I’ve been wanting to make this for a long time but I couldn’t find the right recipe. Thanks to your help here, I can now make this dish easily.